January 6th: AquariumKids receives least killifish from Sachs Systems Aquaculture. February 5th: Evan Baldonado publishes a least killifish care sheet. February 26th: AquariumKids reaches 1,000 YouTube subscribers. March 22nd: AquariumKids reaches 500,000 YouTube views. March 25th: The AquariumKids mailing list is launched. 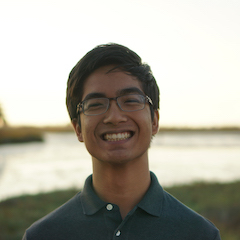 April 22nd: Evan Baldonado publishes an article on climate change at Get Involved Palo Alto's Hack for Social Good. May 1st: AquariumKids opens applications to contribute to an article about the future of aquaria. June 17th: AquariumKids releases a page of the top aquarium YouTubers. June 25th: AquariumKids releases a page of the top aquarium Instagrammers. July 22nd: AquariumKids' YouTube videos have been watched for a total of 1,000,000 minutes. August 26th: AquariumKids turns 4 years old. September 6th: AquariumKids launches its “I’m an Aquarist” Facebook profile frame. September 9th: AquariumKids merchandise is available via RedBubble. September 11th: AquariumKids reaches 2,000 YouTube subscribers. October 3rd: AquariumKids' Facebook post about sharks wearing pants goes viral! October 21st: Aquarium provides betta care sheets to the annual Harvest Carnival. October 28th: AquariumKids reaches 1,000,000 YouTube views. December 27th: AquariumKids reaches 2,500 YouTube subscribers. December 31st: AquariumKids releases its 2017 timeline. Thanks for reading this timeline of our work in 2017 (published 12/31/17)! For more information, please browse around AquariumKids.com! Feel free to contact me at evanb [at] aquariumkids [dot] com with any questions.